There's only 3 days left to the end of the photo exhibition. Won't you feel the breeze of the Bonin Islands on the weekend at Shinjyuku? I'll be looking forward to you visiting the photo exhibition. 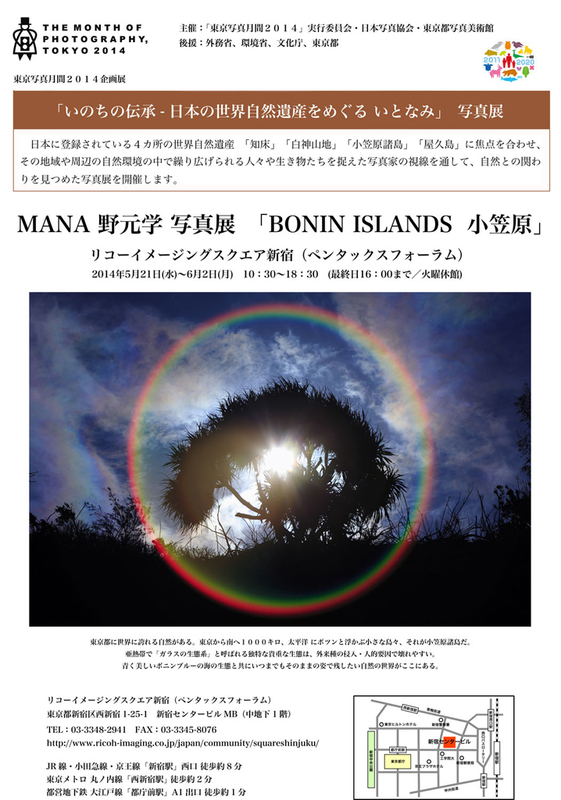 Mana Nomoto Photo Exhibition "BONIN ISLANDSーOGASAWARAー"